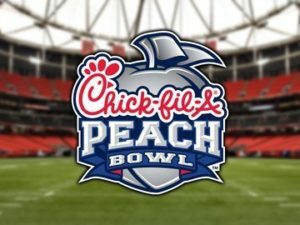 UCF vs Auburn @ Chick-fil-A Peach Bowl in Atlanta! Come watch the undefeated UCF Knights take on the Auburn Tigers in the Chick-fil-A Peach Bowl in Atlanta on Monday, January 1st – and we have your tickets to get in! Call 954-922-8899 or click here for tickets: PEACH BOWL TICKETS!